Slack integration, Mailchimp connections, Google Sheet automation--it's all made possible with our Zap and your apps. Gone are the days when you'll need to export data into an excel sheet to import into your ESP and gone are the days when you'll bore your data analyst with simple, data entry work. We've connected with Zapier to make it easier for you to pull data straight from your surveys into your favorite apps. No matter your company, there are always constraints on resources and time. The key to making the most of all of your resources is ensuring that your computers and programs are doing as much work as possible so your employees can focus on things that only humans can do. 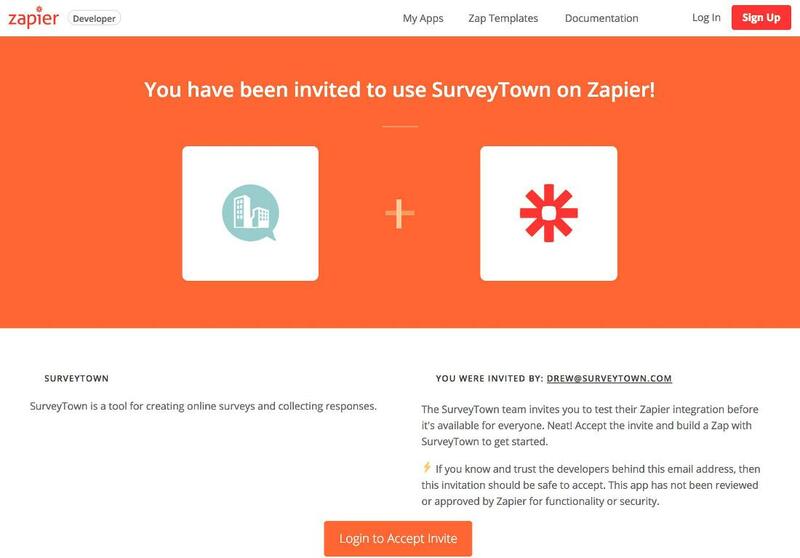 Connect SurveyTown with 1,000+ apps on Zapier to automate as much of your work as possible so that you can focus more time on product enhancements rather than data entry. Follow this link to connect with us on Zapier. You'll land on this page where you'll be prompted to log in to accept our invitation. Go ahead and do that to get started. You'll then see this page which will guide you through all of the steps to create a trigger paired with survey responses. You will need to get your API key from your SurveyTown account. 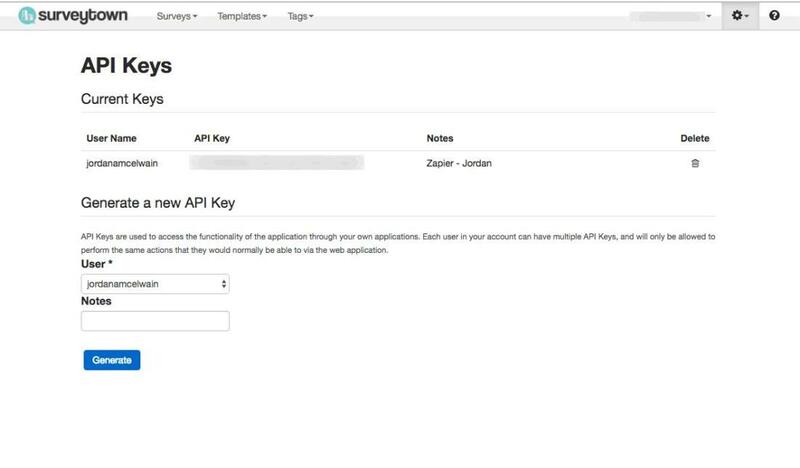 This under gear icon and the "API Keys"
Take your API key and then connect it to Zapier. You can now set up actions that will take SurveyTown data and push it into 1000's of apps. Click here for a demo of how to get SurveyTown to push notifications into Slack.